The commonest question patients will ask before starting an IVF cycle is - what are my chances of getting pregnant ? While it's true that the chances of success do depend upon how good your IVF clinic is, it's also true that the chances do depend upon biological factors which are outside your control - the most important one of which is your age ! You can now use the Free IVF Predictor to estimate how good your chances of success are ! 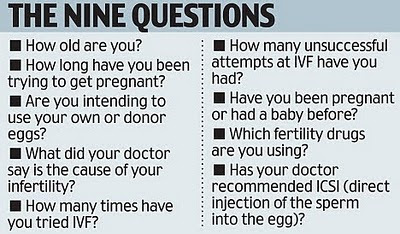 While you cannot do much about your age, you can improve your chances of success by choosing a world class IVF clinic !